Ever thought about trying something other than running but don’t know where to start? 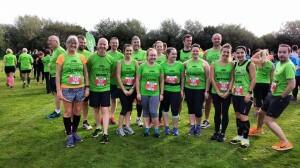 Well Redway Runners Multisport needs you! We are holding a fun and informal evening to find out what you fancy doing, what are your goals? Answer any questions you may have, all in the hope that we can help guide you on to something different and in return you help us ensure that Redway Runners Multisport can offer you something that is (guess what) useful to you! This initial meeting (yes there will be more if there is interest) is being held on 25th October at 19:00 in the Henman Room at David Lloyd Gym. The meeting will be restricted to 25, so we have time to answer all questions as well as letting you guys know what our ideas are for next year. Please let Burti know if you can attend. Fantastic turnout on Sunday, 25 September for the NSPCC Milton Keynes half marathon and 10K from the club. Think we even got some trophies in the club for Sarah, Richard, John and Terry. Fantastic group green photo before the races. I started running at school. I was pretty terrible and used to walk a lot but I used it as a good excuse to go and play in the mud around the old sand pits in Leighton Buzzard. When I got to university my friend Mary decided that she needed to fix my running technique (it was rather like Phoebe from friends) and thanks to her I fell in love with running. We were both in the Mountaineering Club so running at the time meant fell running in the rain when it was too wet to go climbing. Officially no- but I do have a girlie running group of five that meet up from Newport Pagnell once a week. Redway is brilliant as people want to run all the time. I feel proud to represent a club when I race and in return I get an army of green supporters cheering me on (seemingly no matter where I race in the world!). A lot- I feel like I am part of a big family. 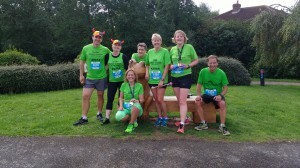 I finally worked up the bravery to join RR on a Sunday run in summer at Salcey Forest. I was greeted by Paul (sorry I don’t know his surname) who has looked out for me ever since. The run was brilliant. I got to know some trails that I didn’t know and to my surprise it wasn’t so scary running as a group. Paul bought me a hot chocolate after and I was signed up from that moment on. I try to make Monday nights and Sunday mornings and then I just fit runs around work when I can. I am useless with names but I have run a fair bit with Sean, Martin G, Martin Lawrence and have been guide running with Annette Smyth, Suzy and Simon. 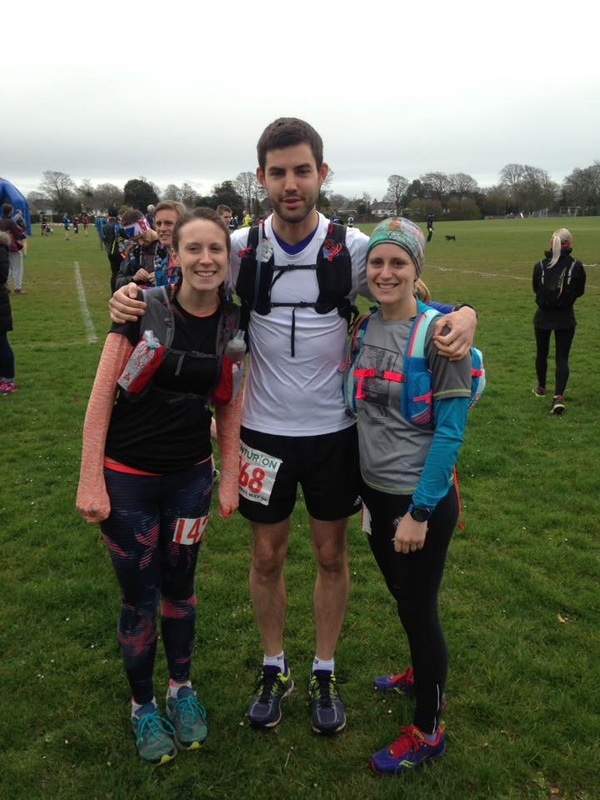 Completing my first Ultra- the South Downs Centurion 50 miles in April 2016. It was the hardest race I have ever done and my whole body knew about it after. I’d love to get a Good for Age marathon time. Swim, cycle, rock climb or take up something new. I dabbled in canoe polo for a while so could do that. I’d keep myself busy but I wouldn’t be doing my favourite activity. In the mountains. Failing that I love Rushmere Park. Boulders, mud, sunshine and cake. Out with my running girls in MK about 18 months ago. We got a good distance into a marathon training run and the path was blocked. We didn’t want to add another 3 miles going around so we got down on our stomachs and slid through dust and gravel to the other side. We were still delayed as by that point we were in a fit of giggles. There are so many! I have picked this photo of me and my husband Ollie at the end of Ironman Copenhagen. It felt good to be finished. What to have for the next meal. Trail/ fell running. I love hurtling down a steep decline. 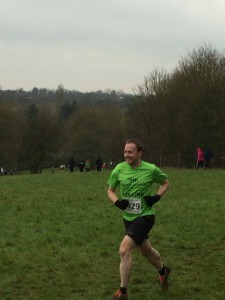 I love the races that take place around the Ashridge Estate. There around a few of them ranging from 10 miles to 16 miles. Longer is better- probably half marathon or marathon. This picture is of the three of use is at the end of the Centurion 50. 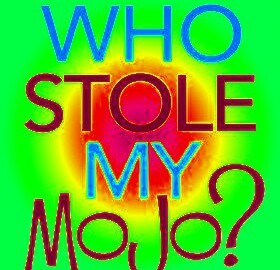 Have you lost your running Mojo, or want to return to running after a break and not sure where to start? 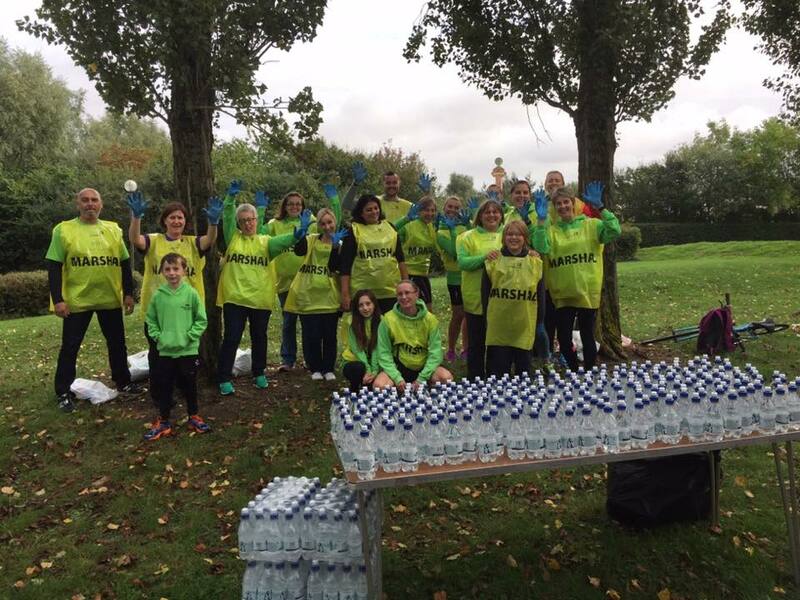 In place of our normal Sunday runs on 23 October 2016 at 9am, we will be holding a ‘Treasure Hunt Fun Run’, a test event for a bigger and better event as part of the Milton Keynes 50 year celebrations in 2017. To help us test if this event would be successful, we are asking you to support this fun run. Start/Finish from Harvester at Willen Eastlake. Each team to start at 2 minute intervals following a number of clues. Total distance covered will be about 10km. Bacon Rolls and unlimited Tea/Coffee for £3.00 from our friends at The Harvester. Please email Stephen at stephenscott1958@gmail.com with details of your team. Start times will be published nearer the time. If you are unable to put a team together, still turn up and we will put you with others. Feedback, both positive and negative would be most appreciated as this could turn into a major event for the club next year. Not run with another club. The unconditional love, help and support that everyone gives all the time – I feel part of a big green family. It means everything to me – I would never have achieved all the things that I have done so far without the support and encouragement from everyone in the club. I was a bag of nerves when I got to David Lloyd as I had no idea what to expect, and I was truly terrified that I was far too slow and would hold everyone up. So I chose Leigh’s step up run….and loved it. Loved the fact that no one got left behind, and that everyone was so chatty and friendly. I haven’t looked back. I try and do Monday evening club run, Tim’s Explorer run on a Tuesday, Neil’s Wednesday 6pm run if I get out of work in time, and some of the Sunday club runs. The list of who I run with is too long to list here – there are so many lovely people who I run and chat to – special mentions to Janet and Paul who I do most of my training with – and also everyone who comes out on a Thursday evening at Woburn woods, where we are guaranteed to get very lost and to laugh!! Just over 2 years ago I had a prolapsed disc in my spine which meant that I was in agony every time I sat down. The physio that put me back together pointed out that due to my height, unless I did some exercise that would build up my core strength, the disc would prolapse again. So I chose running. I had never run before, but set myself a target to run a half marathon in the year I turned 50 (which was last year). Somehow 1 half has turned into 16 so far, and also 2 marathons and 1 Ultra. Loads of 10Ks, a Wolf run and the Paras 10 run (which is the run that the Parachute regiment new recruits have to do as part of their training). I have more marathons and ultras planned this year – and still need to decide on next year’s challenge. Being able to run over 50 miles a week regularly!! I never dreamed that this would be possible when I first started. 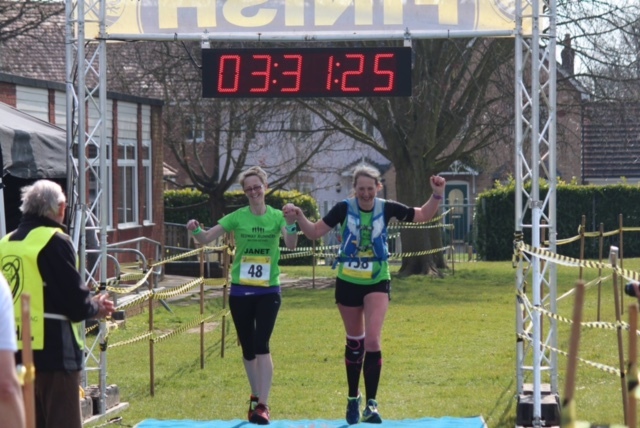 An immense thank you has to go to Jen Sangster – she is always there for me with lashings of encouragement, help, advice and training plans!! Because I can!! It has become part of my life. I get to see my friends a lot, stay fit and healthy, and it’s a brilliant way to de stress after a hard day in the office. I would probably be out and about walking my dog, or horse riding. Phoebe (my dog) comes out running a lot with me now, and I fit in horse riding as and when I can. Too many to mention, and they generally happen on our Thursday evening runs around Woburn woods. This has to be the Oakley 20 earlier this year. It was very warm, very hilly, I was running with a shin splint issue and it seemed never ending. Never again!! Nice hoodie though!! Run the mile you’re in – don’t worry about what’s still to come. Even though the Oakley 20 was my worst ever run, I did get my favourite photo from it – Janet and I crossing the line together. We had both struggled at times through the race, but somehow we managed to catch each other up and get us moving again. There was no way I was going across the line without her!!! No – luckily I haven’t. I have a 10 mile route around some of the bridleways from Bottledump roundabout, up round the prison, round Crownhill and back. Running, nutrition and resting should form the 3 points of an equilateral triangle. It doesn’t matter if it’s a big triangle (if you are covering a lot of miles) or a small triangle (a smaller number of miles) – but the triangle should always be equilateral. And the importance of stretching properly!! That you must listen to your body and go with what it tells you. And that it’s ok to walk. Slow gentle trail running – you still cover the distance but you get the chance to enjoy the scenery. Loop backs, love them for the social? I don’t mind a loop back or two on a social run. It’s a fantastic way to keep everyone together – but I generally choose to do a Club run on a Monday so I don’t have any loop backs after a busy running weekend. No, as I would always find alternative times to run. New Forest Half last year – stunning scenery, brilliant organisation with lots of local support, ran with the ponies….literally…..and the miles just seemed to disappear. Ultras – you get fed every 10K!!! Yes – I love food!!! I always have a high calorie breakfast of granola and porridge with fruit before a long run. Apart from that I’m not always very organised, so can usually be found running around in a panic hoping that I haven’t forgotten anything. I have only ever done Willen and Blickling (in Norfolk). I would have to say that Blickling is my favourite – it’s around the grounds of a National Trust property, and is so pretty. My Camelbak – lots of pockets to fill with snacks!! I might do if it was cheap to enter, and had alternative freebies at the end!! Have you ever cried because you couldn’t get time of work for an event? Yes – but don’t think I am good enough!! Considering I have never won anything (and am never likely to) – a PB!! 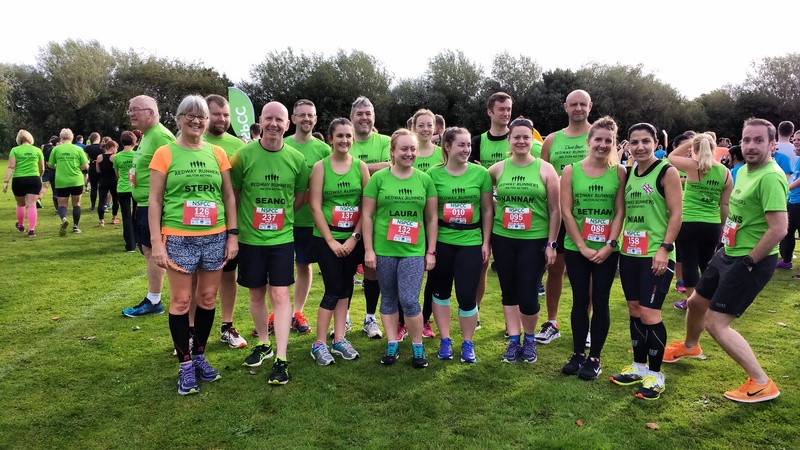 We have done a few now ‘On The Run with ….’ articles on the club web site and they have been really popular – but we need more club members to do them, do not be shy share your story. I started running in late 2011, after deciding I was old and fat! Been lazy I signed up to run the Silverstone Half in 2012 to keep me motivated. It wasn’t until I had the stupid idea that turning 40 meant I had to run a marathon that I joined RR though in Summer 2014. There’s only so many 2-3 hour long runs you can do on your own, leaving from your front door before you start to border on going mad. Other than the like-minded people you meet and befriend! One of the good things about been an RR member is the guaranteed cheering squad at just about every race you ever do. Oooh my first time… cheeky… it was a warm Sunday morning from Westcroft. I was a bit nervous, worried I’d do something silly not knowing any group running etiquette or be so slow I’d hold everyone up.. But everyone was very friendly, made me feel so welcomed and the loopbacks meant I needn’t have worried about been too slow. Tough this! It seems I’ve been injured from running forever. But I always enjoyed intervals and the Sunday long run and was quite getting into the un-official MK parkrun early lap which a few from the club do. I look forward to getting back to all these and more as soon as I can. What has been your best running achievement? Currently I’ll settle for running again J but once that happens I’d like to get my training to where it was at the beginning of this year and do a sub 90min half and possibly think about a good for age marathon! Not a place, but I love running in the rain. A full on storm even better. Probably doing Mk festival of running half in a pink tutu, the crowds loved it. What is your favourite running music track and film? Don’t dwell on them, just remember the good ones. 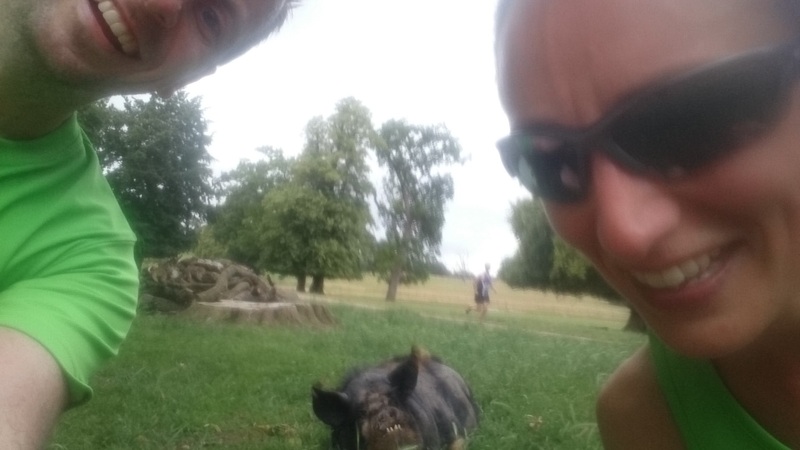 A selfie of me a grumpy pig and Sinead at Stowe ultra half marathon! I think this shows the fun, weirdness and friendships that running can bring to your life. Steve Way. He’s like a much better runner version of me! Came to running later in life used to drink and smoke far too much. I think if he ran backwards so I could keep up it’d be fun. Nope, I have been known to when training and my schedule says do x miles but other than that I don’t usually even look at my watch till after I’ve saved the run. Worst: Running is bad for your knees! I do cycling and yoga. Like both. Depends on my mood, but usually longer slow ones! One of the great things about running is it can fit around everything else in your life and there are enough club runs that I’d think whatever hours I did there’d be something I can make. Although I’d love Friday mornings off. Generally, I run to distance. But both have their merits depending what you’re training for. NO. My runs are on Garmin and Strava. Listen to Eminem – lose yourself, several times. Take my asthma inhaler, use a nose unblocker if it’s an important race means I’ll just be getting over a cold! Food wise for halves and up I’ll have a strawberry jam bagel an hour or so before. And then a few gels during. There’s a glass bridge in China quite fancy running across that! Or anywhere with nice views. Never done it before but Father Collins parkrun in Ireland is going to be my favourite when I get there. Nope, it’s never been an issue and I can’t imagine an event been that important to cry over. I love the cross country team, had never done cx before the club started doing it, went to every race the first season, think I even scored points the one time all the fast RR’s didn’t turn up J Unfortunately last season I only got to a couple of them, but hopefully do them all again next season. What question should we have asked you? Have you perfected running with a full wine glass yet?